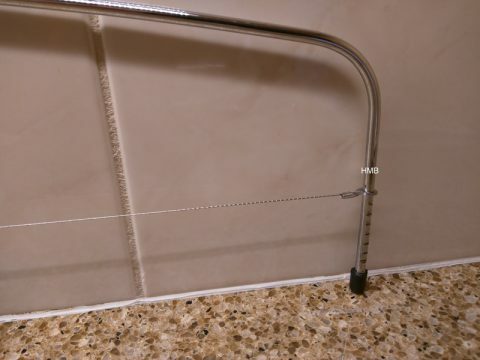 What is a cake leveller or cake levelling wire? 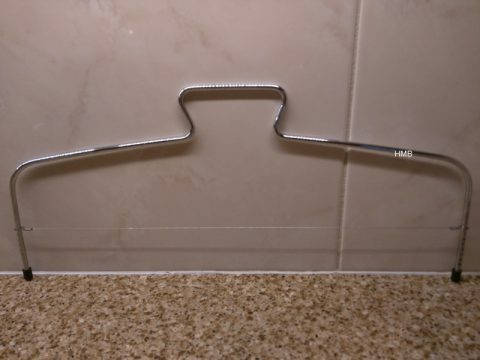 A cake levelling wire or cake leveller is used to level a cake, it has segments on the side of the tool in order for you to set your required height and then it is slid in a side to side motion slowly through the cake in order to slice it. It can be used for levelling a cake to make it straight and remove any peak. It can also be used for slicing the middle section of a cake in order to fill it. 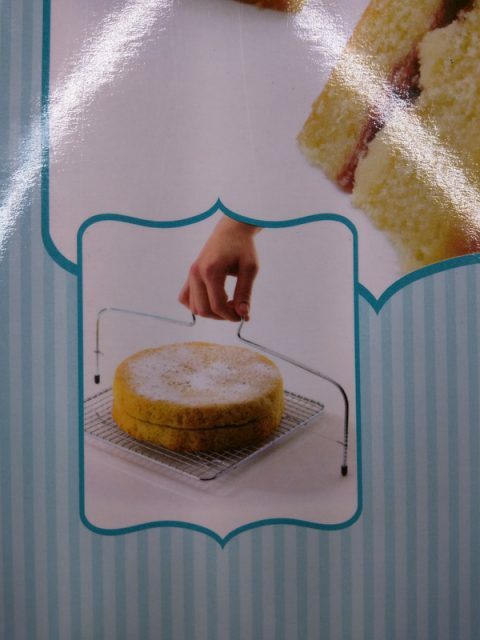 Very nifty, especially if you're not that good at cutting a cake in half. PrevPrevHow to make a heart shaped cake using a circle and square cake.